Shopping for a new mattress can be an exciting time. It’s nice to be able to invest in something that contributes to your comfort. If you’re someone who’s looking to improve your current sleeping situation, a new mattress is typically the best way to do so. It used to be expensive to access high-end mattresses, but now it’s much more affordable. There are hundreds of mattress companies that provide high-end mattresses to people in need of an upgrade. You no longer have to be satisfied with your traditional mattress. Most traditional mattresses and foam mattresses are made with harmful chemicals and by-products that can end up damaging you and the environment. If you’re someone who wants to reduce your environmental impact, it’s important that you take this seriously. Naturepedic uses organic materials to ensure they reduce their environmental impact and keep you and your family healthy. The company is at the forefront of the organic mattress industry – they’re experts at providing environmentally aware sleeping products. For this purpose of this article, we will be reviewing one of Naturepedic’s most popular mattresses – the EOS basic mattress. 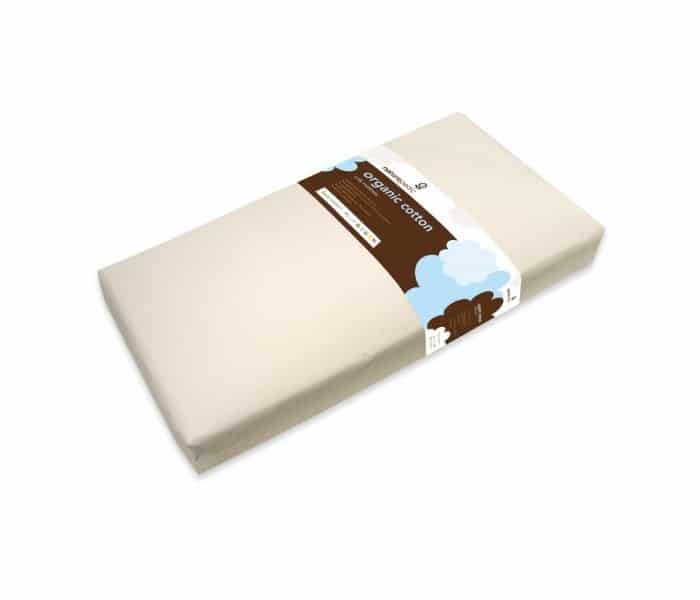 This is one of their best-selling, certified organic mattresses. It’s also one of their most affordable. We’ll take a deeper look at this mattress to help you understand if it’s the right mattress for you. If you’re someone who wants a mattress that will keep you comfortable, healthy, and environmentally-conscious, this might be the perfect choice. Make sure to take in all the information provided in this review. The most important part of understanding a mattress is understanding how it’s constructed. If you want to be certain you’re purchasing the right mattress, you need to be certain that you know how it’s built. Many modern mattresses are made with a variety of different materials. Gone are the days of simple spring mattresses – you’ll find the EOS mattress includes layers of different materials. Below we’ll take a bit of a deeper look at the Naturepedic EOS mattress construction. As mentioned previously, there is a multi-layer system in place to ensure that the Naturepedic EOS mattress is as comfortable as possible. There are two separate layers present in the Naturepedic EOS mattress Each layer compliments different focuses of the mattress – the goal is to provide the perfect combination of comfort and support. Below we will take a look at each layer independently. The top layer of the mattress is the component of the mattress that focuses on comfort. If you’re looking for a comfortable mattress, it’s this layer that you should pay most attention to. In the Naturepedic EOS, the top layer is made from 3” of organic latex foam. The base layer of the mattress is made from 8” of wrapped coils. It’s this part of the mattress that provides support and bounce – without this section of the mattress, you would fall straight through the mattress when you lie on it. Support is just as important as comfort. This layer also allows for breathability. The cover is also a very important part of the mattress. If you don’t have a solid mattress cover, the components of the mattress may get damaged or move out of place. The cover of this mattress is made from organic cotton, so you can be certain it won’t have any issues you might find it synthetic materials. The cover also has a pillow-top style addition on the top surface of the mattress, which provides extra support and comfort. The cover also supplied extra edge-support for the mattress, which is a great way to increase the overall support of the mattress. It’s time to get to the important bits – how the mattress feels and how much support it offers. If you want a comfortable mattress, you’re in luck – the mattress has bounce to ensure you don’t sink too far in when you lie on it. This being said, it has plenty of pressure relief to ensure you have a relaxing sleeping experience. It’s important that a mattress has the level of support you’re looking for. This mattress comes in around 7/10, making it slightly above average in terms of support. If you’re someone of a normal weight, this is a great support level. If you’re someone who weighs more than 230 lbs., you might want to look at other options. The coil system mattress also ensures that the mattress breathes well. This is a great feature for those who don’t want their mattress to retain heat. The coil system means that air can flow through the mattress freely – if the mattress was pure foam, it would retain much more heat. In terms of motion transfer, there is quite a bit of motion transfer in the mattress – more so than you would find with traditional foam mattresses. This being said, you’ll find less motion transfer in this mattress than a traditional spring mattress. Sinkage is the amount the mattress that you’re using sinks when you lie on it. This will tell you how much contour you can expect to feel when you lie on the mattress. If you’re someone who enjoys a lot of hug from your mattress, then you will want as much sinkage as possible. If you’re someone who doesn’t, aim for mattress with minimal sinkage. To test sinkage we use concentrated weights. Keep in mind this gives you the amount of sinkage when weight is concentrated, not when weight is spread out through the surface area of a body. For a 5 lb weight, we found 1.5” of sinkage. For a 10 lb weight, we found 2” of sinkage, for a 100 lb weight, we found 6” of sinkage. It’s easy to focus entirely on the comfort of a mattress when you begin the research process. You might find a mattress that you think is perfectly suited to you, but this doesn’t mean it’s the smart decision. Once you know a mattress has the comfort and support you’re looking for, and you assess if you can afford it, you need to start looking at all the other features and benefits associated with the mattress. It’s important not to overlook how the mattress stacks up against its competitors in terms of benefits. You don’t want to be in a position where you lose out in the long run because of a lack of benefits or features. In this section of our review, we take a deeper look at all the benefits afforded to you when you purchase a Naturepedic Mattress – it’s a great way to truly assess the value of the mattress you purchase. One of the primary benefits of purchasing a Naturepedic mattress is the fact that their products are built with organic materials. This means that you won’t be exposed to some of the harsh chemicals present in many mattresses. If you’re someone who wants to reduce your chances of harming yourself through ‘off-gassing’ this might be a decent option. It also means you won’t be exposing the environment to as many harmful chemicals. The warranty is one of the most important additional benefits included with any mattress. If you’re going to purchase a mattress from a company, you need to be certain they back their own product. The majority of mattress companies have decent warranties, so you shouldn’t settle for something that is less than the industry standard. If something goes wrong with a mattress and you’re not covered, it will cost a lot of money. Fortunately, the Naturepedic mattress has plenty to offer in terms of warranty. You receive a 10-year warranty with any of their mattresses. If there are any issues with your mattress that result from the production of the mattress, you can get a replacement mattress within this time frame. This is about even with the industry standard – it ensures you won’t have to pay for a new mattress in the next decade. You can purchase the Restonic Scott Living Mattress through various retailers. This means you can try the mattress out in a showroom or store. It’s a great way to get a feel for the mattress before you purchase it. The only downside is the Naturepedic doesn’t offer a trial period directly through the manufacturer – this period will depend on what the retailer offers. Many consumer goods are now made overseas in areas that have lower wages. If you’re someone who wants to support local industries in the United States, Naturepedic is a company that keeps all of their manufacturing local in the USA. Purchasing one of their mattresses is a great way to ensure you’re supporting local manufacturing and workers. While many people pay for their mattresses upfront, the cost of a mattress might be too large for some people to handle. In other cases, people may prefer to stretch the mattress cost over a prolonged period of time. If you’re someone who would prefer to make monthly payments towards your mattress, you can do so by setting up a loan with their financing partner – it’s a great way to access low-cost financing to cover the cost of your mattress. Affirm is the financing firm that Naturepedic partners with – you can get more information on their financing offer directly through the Naturepedic site. Make sure that you’ll be able to afford the payments if you do decide to take out debt to cover the cost of this mattress. Many modern mattress companies reduce costs by streamlining certain parts of their businesses. Often, this means that low-cost mattress manufacturers will have reduced customer service portals for you to contact their team. They want to pass the savings on through the low-costs in their mattresses. While this may sound good at face-value, it can be a total pain if you’re someone who is trying to get in touch with their customer service teams. At Naturepedic, you can rest assured knowing that they have a great customer service team on-hand to help you with any issues you might be having. If you want to be certain that you can speak to someone when you have any issues with your mattress, Naturepedic is a great option. 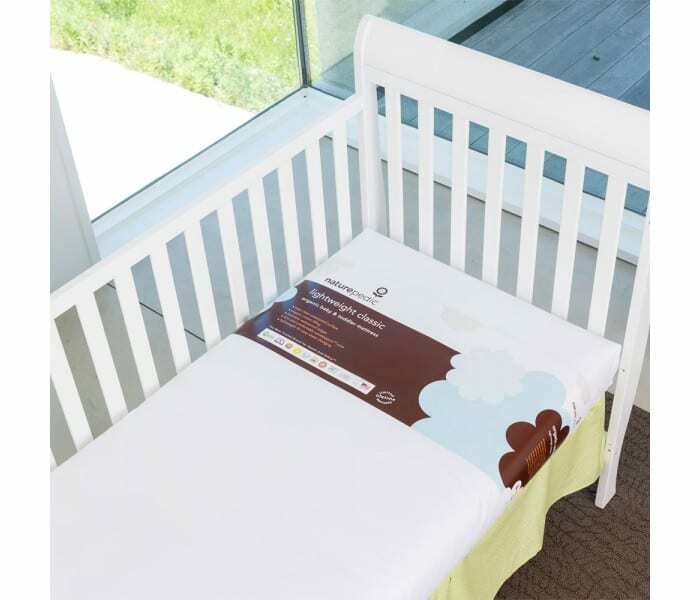 Another great benefit of Naturepedic is the fact that they don’t have just one mattress type. While many traditional mattress companies offer more than one mattress, many modern mattress companies only have one or two options for their customers – this is one of the many ways that they manage to reduce their costs. 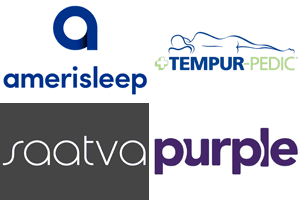 With Naturepedic, you have a wealth of different organic-based mattresses at your fingertips. They also have kids’ mattresses that are designed to suit the sizes of children. 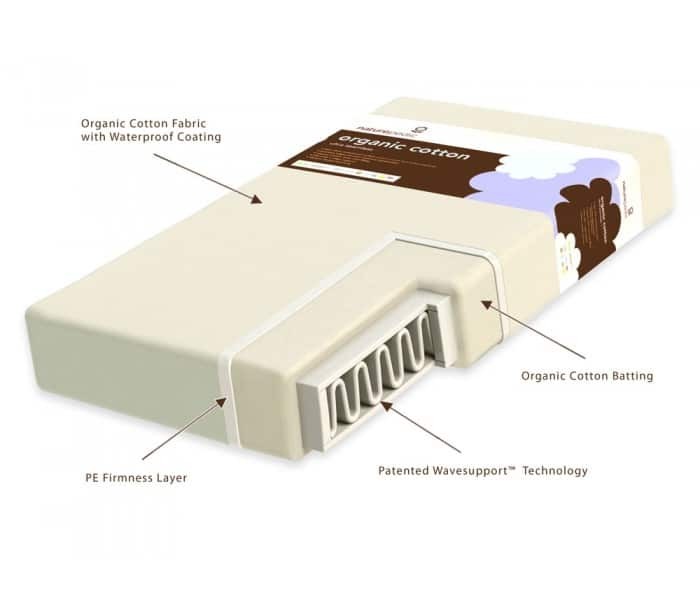 This is a great option for those who want their kids to have an organic mattresses that don’t expose them to harmful chemicals or gases. Should I Buy the Naturepedic Mattress? Deciding which mattress is perfect for you can be hard to do. The first thing to assess is whether or not you can afford it. Next, you should ask how much you value reducing your exposure to chemicals and damaging the environment. If these are priorities in your life, then this is a good option for you. As one of the only organic-certified mattress providers on the market, you can be rest assured they’re a good choice if you’re looking for a more natural option. Naturepedic’s EOS mattress is also extremely comfortable. It’s a great choice if you’re looking for something soft. The mattress provides plenty of hug and contour for those who need it. If you think you could benefit from this type of mattress, then it’s definitely a good choice. Keep in mind it might not be as comfortable as some synthetic mattresses, as it can’t use the same materials. If you don’t think this is the right mattress for you, there is plenty of information on our site. We have reviews of tons of different mattresses – you can match and compare mattresses to see which one is best suited to your particular situation. We also have plenty of other articles for you to read – it’s a great way to get informed before you make your next mattress purchase!